The little bear is starving. No problem as a plate with different servings has already been prepared. 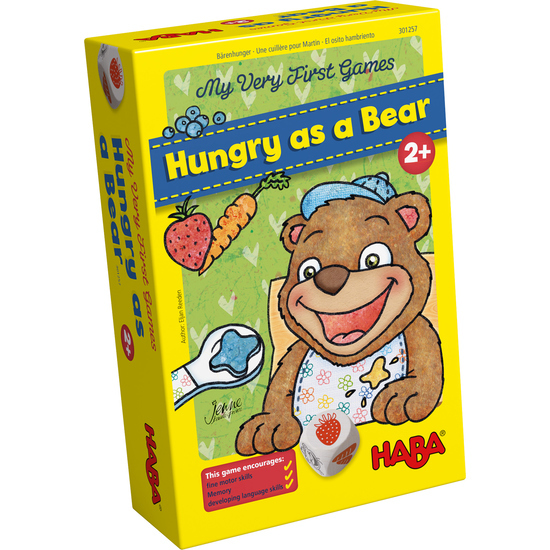 But which are the servings little bear can be fed? The die will tell. Who wants to help feed the little bear? Contents: 1 Bear pop-up with hat, 12 food servings, 1 plate, 1 spoon, 1 die, set of game instructions.